And as a result...I can say I've officially arrived as a mom of little girls. These are seriously the ONLY pictures I got of the whole night...and they were with my iPhone. I guess I was a little busy. 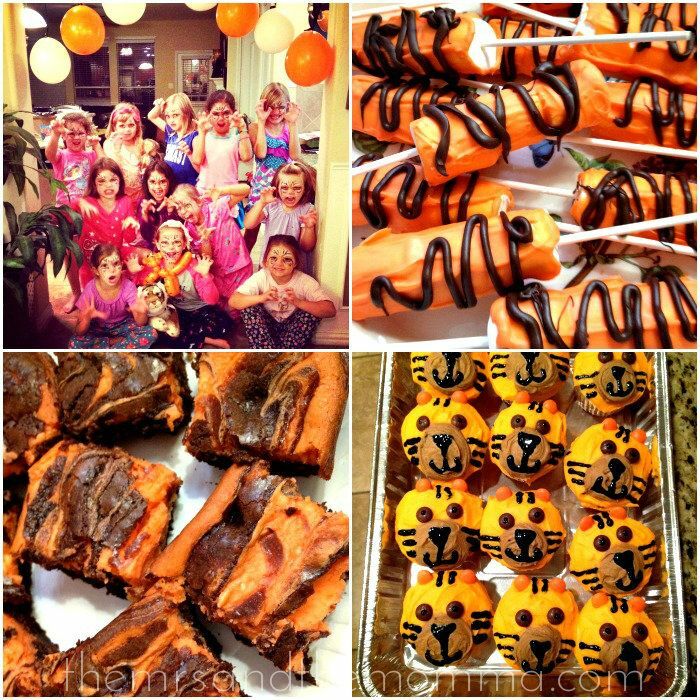 :) I loved getting to paint their faces, but we ran out of time for the tiger fingernails. Isn't girly stuff so fun!?! 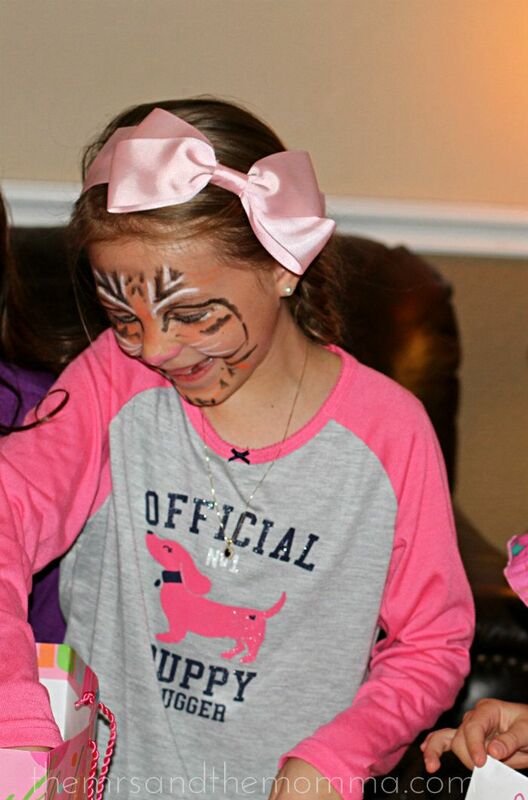 Tyler Bree had a blast and I think (I hope) it was exactly what she had "envisioned" when she asked to have a Tiger Slumber Party. I love their facepaint! This is an excellent party theme!! No slumber parties!? That was pretty much the best part about being 7-17, although they didn't get very large or official until we were about 9. Super cute theme, though. I love that it's not all pink/purple/glitter fairies! Those desserts are too cute!